The Cavanaugh II Exp on an unfinished walk-out basement (all brick). Unfinished basement is roughed in for a future full bath. A beautiful 19x 12 covered deck for outdoor entertaining with access off the breakfast area/family room. This plan has an open concept to the family room from oversized kitchen with cabinets galore. The butler’s pantry creates an easy transition between formal dining and the kitchen. Oversized pantry with powder room and study are also on the first floor. The second floor has a large master suite with trey ceiling, huge master closet with access to the laundry room. 3 additional bedrooms are on the other side of the loft that separates the master. Total of 4 BRs, 2.5 Baths and study/office. 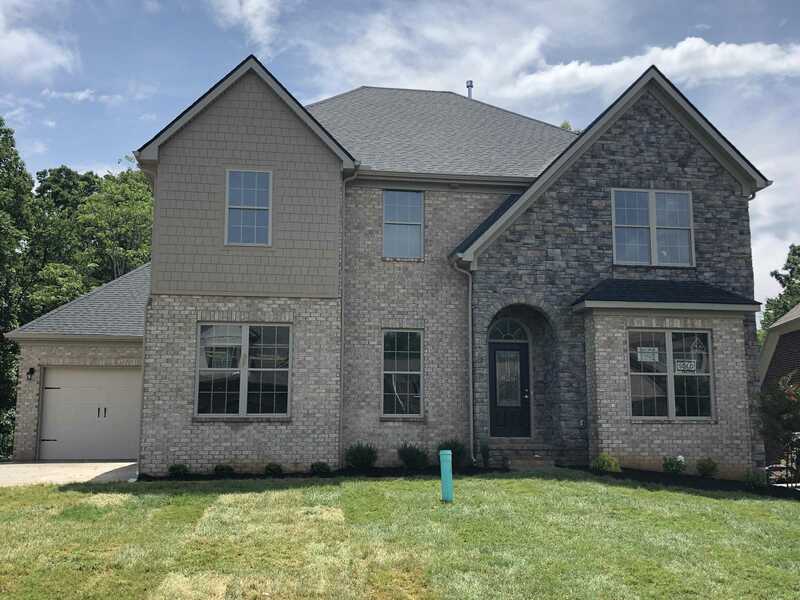 Please, send me more information on this property: MLS# 1042477 – $529,428 – 12427 Cotton Blossom Lane, Knoxville, TN 37934. I would like to schedule a private showing for this property: MLS# 1042477 – $529,428 – 12427 Cotton Blossom Lane, Knoxville, TN 37934.